The declines of indexes on the Bulgarian Stock Exchange are often attributed to slides on the foreign markets. But is the Bulgarian market really dependent upon the international markets? The answer is both „Yes“ and „No“. Both US and Asian indexes made strong gains on Wednesday. European markets, however, closed much earlier and could not feel the impact. On Thursday, Europe's main indexes climbed significantly, which to a large extent compensated their failure to do so the previous day. DAX 30 added 6%, the French CAC 40 rose 5.1%, and the British FTSE 100 gained 4.3%. Bulgarian investors were very positive at the start of Thursday's session. And indeed, local indexes shot up in the morning, however, active selling sent them down again, and at the end of the day SOFIX closed at -4.4%, and the broad indicator BG40 fell 1.8%. Indexes looked about to drop even further, but purchases at the end of the trade session prevented them from doing so. Other main indexes in the region also ended on positive territory on Thursday. 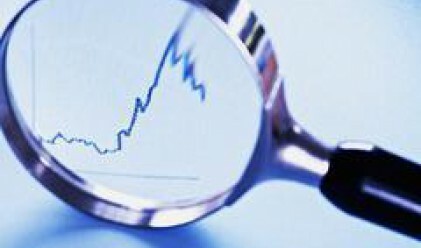 Romanian indexes gained more than 2%, the Hungarian main index rose 3.7%, and the Russian added 4.8%. Profit.bg took a look at the correlation between Bulgarian and international indexes. The worrying conclusion is that there is hardly any correlation at all, as you can see in the chart below. By January 23, SOFIX had ended up just once – on January 17. In the past several years we witnessed a tendency called the January Effect, however, there has not only been no such effect this year, but January may actually become indexes' worst month ever. By comparsion, Dow Jones has ended six sessions up and nine down so far this January, while the Japanese Nikkei 225 has made eight gains and 5 declines this year. The German DAX and the British FTSE have both made four gains so far. We may definitely say that the strong decline of local indexes this year is not a result from any fundamental factors, from recession worries or expectations of bad annual financial reports. It is rather what we call a domino effect. The withdrawal of foreign investors had a very negative impact on Bulgaria's small capital market. As a result, funds started to sell after nervous investors rushed to redempt shares. * This article was written January 24.